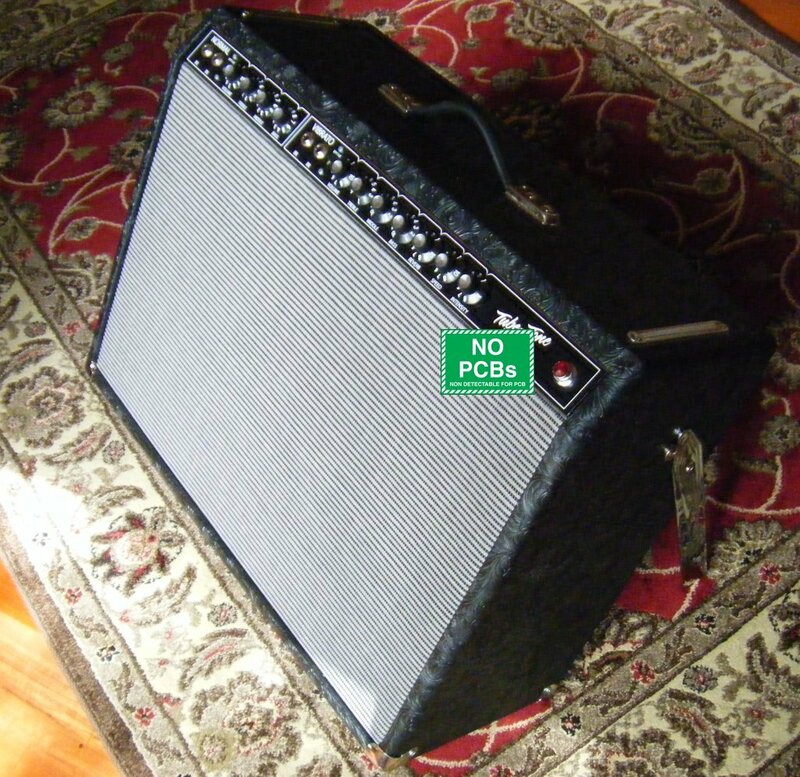 This is essentially the AB763 circuit used in the Fender Twin-Reverb blackface models from '63-'67 with some additions that don't affect the original tone of the amp, such as 4 individual bias control adjustments for each power tube, added half-power switch, and impedance selector. 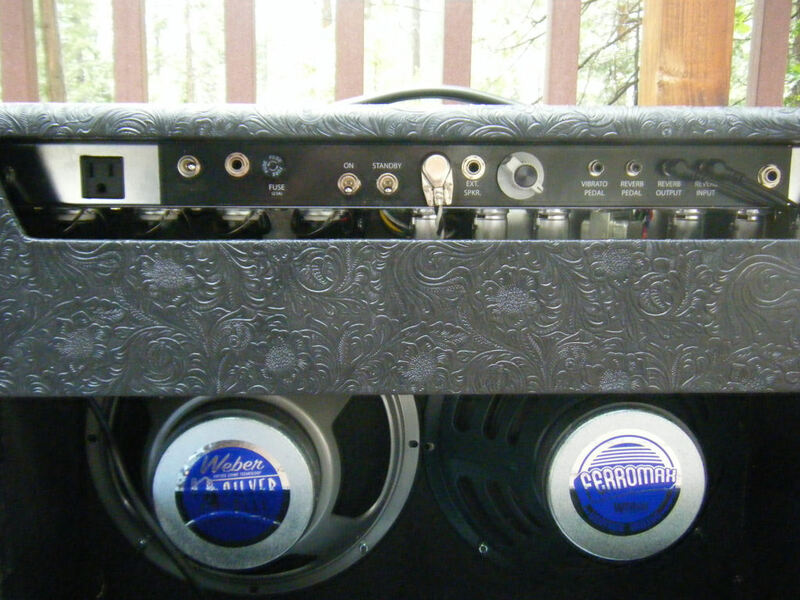 The one pictured here was a special order with bluesbreaker grill cloth, black leather style covering, Marshall multi-tap output transformer, and an added MID/FAT boost footswitch, along with a mix of the Weber Silver Bell and the Weber Ferromax 12F150A 12" speakers. Normally comes with Weber California Ceramic 12" speakers. Email, or call for pricing and options. 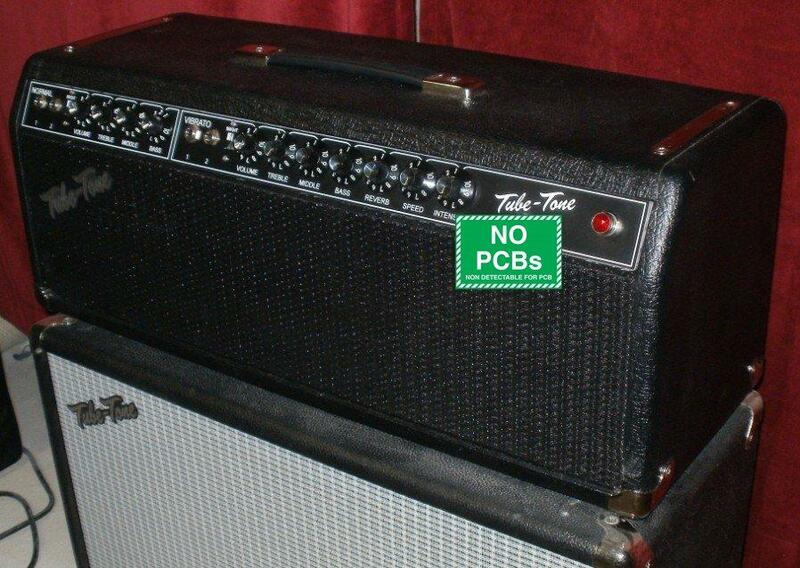 The Twin is also available in head only version, as are most all other combo amps by Tube-Tone Amplifiers. 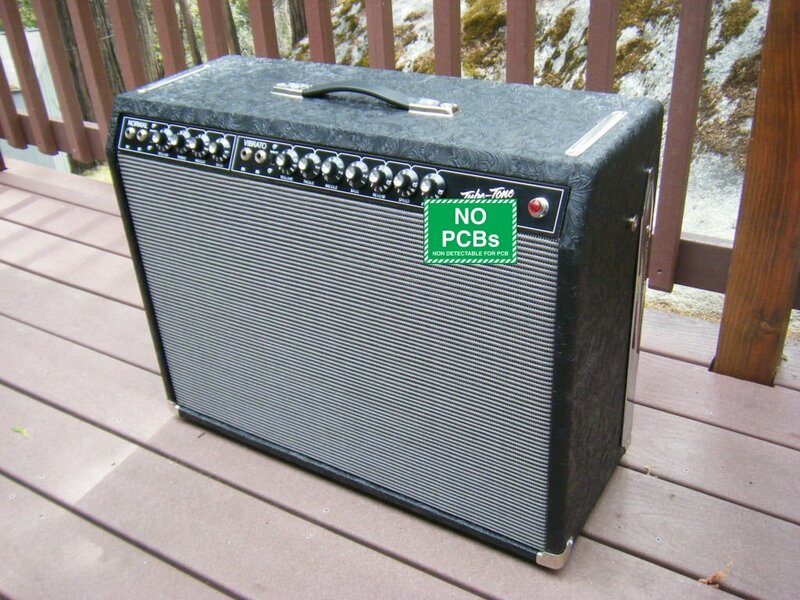 Deposit required for Tube-Tone Pair-Amp. 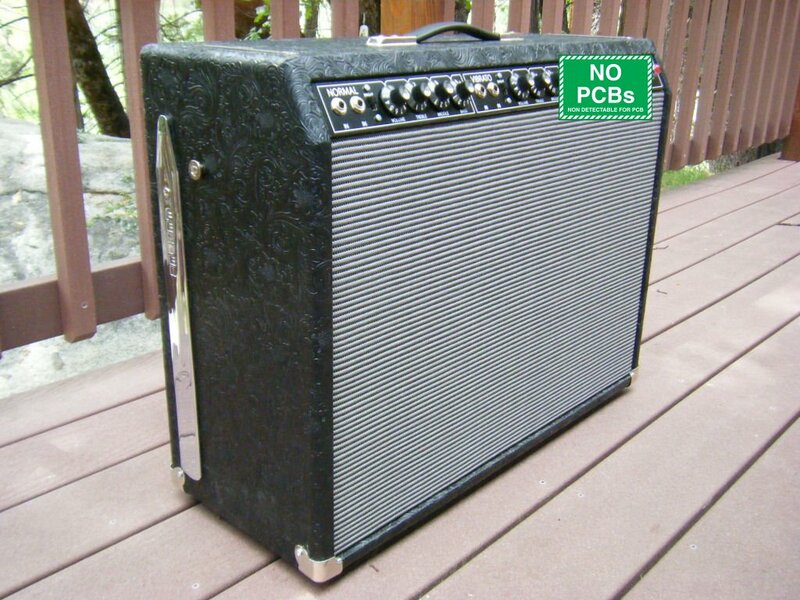 Total price is $1870 with free ground shipping in continental US, or $1805 plus shipping to other destinations. Please inquire on our discounted FedEx and GLS shipping price. Specify cover and grill cloth, pilot light color, 120v or 230v. California residents, sales tax is added.